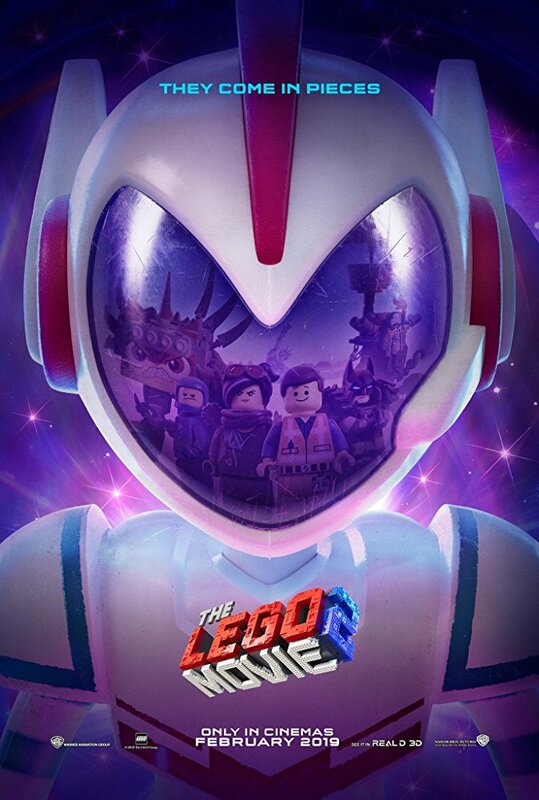 I thought this was going to be the weekend that turned February around, but that weekend is still upcoming as The LEGO Movie 2: The Second Part, despite good audience reception, opened much lower than expected. What Men Want, Cold Pursuit and The Prodigy all performed in line with expectations. Still, there wasn't anything that really popped and that means February is still looking for something that will distinguish itself and as we reach the midway point, Alita and How to Train Your Dragon look to save the day. It turns out things just can't stay awesome forever and whether it's due to over-saturation, too long between the original and the sequel or simple disinterest, The LEGO Movie 2, pegged at a weekend anywhere in the $45-$55 million range, disappointed with a $34.4 million weekend. That is well below the $69 million opening of The LEGO Movie and the $53 million opening of LEGO Batman. If it plays like the original film from here on out, a total around the $100-$125 million seems likely, though it faces direct competition from How to Train Your Dragon: The Hidden World in two weeks. Audiences were still on board, giving the film an "A-" CInemascore, though it scored the largest male audience (57%) among all the LEGO films thus far. Those hoping that overseas audiences will help should remember that most of the previous LEGO films have made more domestically than international. With $18.1 million from 63 markets, the film is already trailing the first LEGO Movie, which made $18.4 million in almost half as many markets. There are a few things to attribute for this drop - one, there as too long between the first film and the sequel; two, while LEGO Batman was well-received, Ninjago was a low point and may have turned audiences off; three - there is so much LEGO available (games, straight-to-video offerings and such) that the market is just over-saturated. Taken together, it just means LEGO just isn't as fresh as it once was and while I still think there is room for more LEGO adventures, they may need to shake things up to bring it back around. 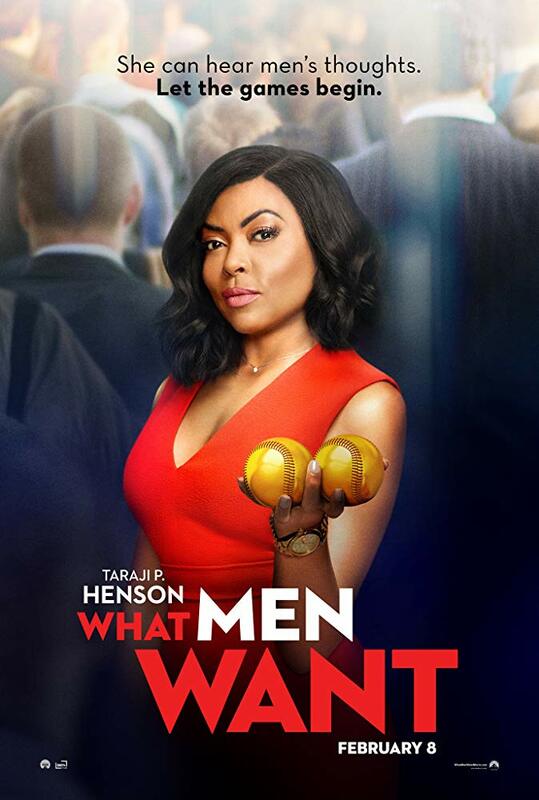 The gender-swapped update of What Women Want with Taraji P. Henson taking on the role Mel Gibson first played back in 2000 opened right in line with expectations, bringing in $19 million in the second-place spot. While critics had lukewarm responses at best, this matched LEGO Movie 2 with an "A-" Cinemascore and Henson has gotten rave reviews, even from those who didn't particularly like the movie. It certainly opened better than Proud Mary ($9 million), which went on to score a $20 million total. What Men Want should play much better and looks to top the $50 million mark. Not bad on a $20 million budget and even if it won't get anywhere near the total of What Women Want, this is going to be a solid earner in the long run and another good look for Henson, who should have no problem continuing to impress audiences. 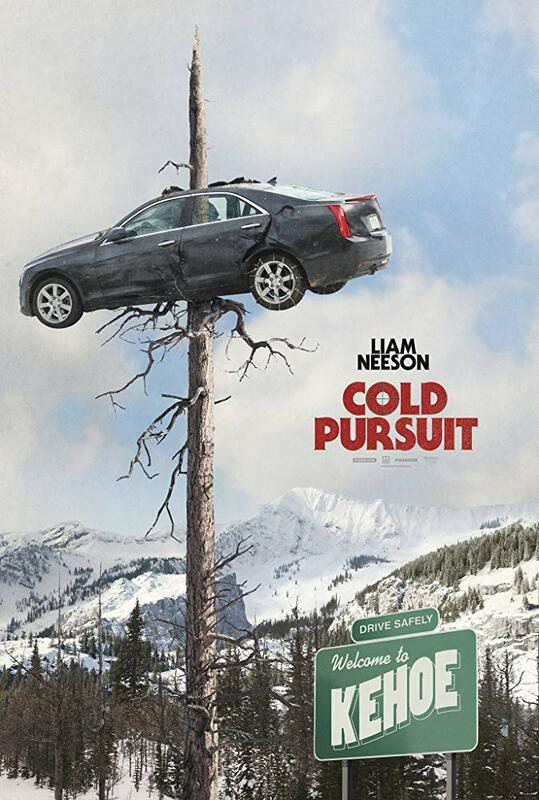 After star Liam Neeson shared a racially-charged message, Cold Pursuit experiences a much different launch, with a red carpet even cancelled and everybody talking about his story rather than the actual film. Still, Cold Pursuit wasn't left out in the cold, and actually came in a shade higher than expectations with $10.8 million for a third-place finish. We might never know if things would have turned out better if not for sharing that story, but it opened just a hair lower than The Commuter ($13.7 million), but still good enough to prove Neeson is still a draw even after playing the same damn character in nearly every movie for the last decade. If the film follows a similar pattern as The Commuter, it will wind up with around $30 million. If it can also match the international success as well, the film will have no problem also turning a profit. The "B-" Cinemascore was supported by an audience that was mostly male (598%) with 79% coming in 25 or older. Nothing surprising there, but long-term prospects aren't the greatest as I expect the competition to down this in short order. The Upside once again wins the battle for best hold among any films in the top 12, with a mere 16.8% drop, adding $7.22 million to its total, which now stands at $85.5 million. Keeping hold of audiences is key to a good run and the pairing of Kevin Hart and Bryan Cranston is doing just that - holding well in each of the previous four weeks. The film is looking to hit that $100 million mark before too long, which is going to look great next to its $37.5 million budget. While its foreign total is more of an afterthought ($8.9 million) every bit helps but there is little doubt that this feel-good film is going to wind up well in the black. Coming in at $6.42 million (down 32.7%), M. Night Shyamalan's third film in his superhero trilogy is closing in on $100 million with $98.4 million and counting. Glass has also earned $221.5 million on the global front so this $20 million production is going to wind up a pretty big hit, even if it may have fallen short of expectations set by Split. I still haven't gotten around to watching this (blame the recent terrible weather, which has kept me at home on my day off) but it is still on my radar and even if I have to catch this one streaming instead, I'm still looking forward to seeing how Shyamalan wraps things up - or even leaves things open for more. One thing is for certain, at least for me, the director has turned things around and I find myself actually anticipating what he does next. And, hey, Bruce Willis, Samuel L. Jackson and James McAvoy all need the work, right? Outside the top five: Horror film, The Prodigy opened down in 6th place with $6 million, just slightly below studio expectations in the $7-$9 million range. Still, with a $6 million budget, The Prodigy is on its way to being mildly profitable though the "C-" Cinemascore and weak critical response, The Prodigy isn't long for this theatrical world. I expect it to suffer a typical second-week horror drop and slink off soon after. Aquaman topped the $325 million mark with a $3.3 million weekend (8th place) and a new $325.8 million total to go along with its $1.1214 billion worldwide total. Of note that its $792 million overseas total puts it withing reach of Iron Man's $804 million in becoming the highest-grossing solo superhero film of time in the international market. How it plays in Japan will determine if it can reach that mark. Bumblebee just managed to cross the $125 million mark with a $860,000 weekend (17th place) and new $125.7 million total. Next week brings us the visually-stunning Alita: Battle Angel, the romantic comedy-skewering Isn't It Romantic, the horror sequel Happy Death Day 2U and the wrestling family biopic Fighting with My Family.